One of my students asked me to finish off a baby blanket for her third grandchild due this Wednesday. 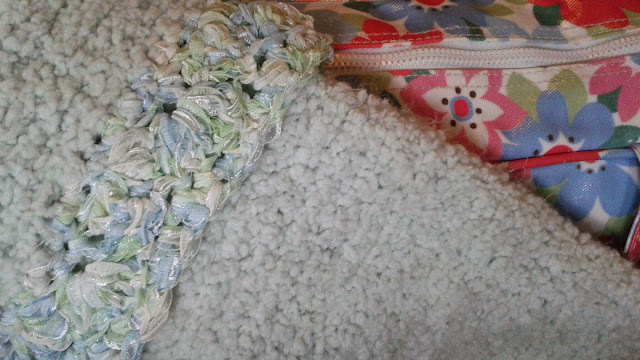 It's a four row crochet ribbon border - rows 1 & 4 single crochet. Row 2 & 3 - a shell pattern of 5 dc and sc. It's rather pretty! We didnt want too big a gap for little fingers to get in!